Recent Posts – Page 2 – Project Khmer H.O.P.E. A St. Andrew's Cathedral, Singapore project with the aim of alleviating poverty and creating sustainable livelihoods for Cambodians with social, economic and health disabilities. Check out these photos of the crops from our very own garden at Trang! PKH started the new academic term on 26 Feb 2018 with 30 Year 2 Students and 75 Year 1 Students for Hospitality Course at PKH Centre Chbarmon, and 24 Students for Industrial Skills Course at PKH Centre, Aoral. Students are now midway into their first term, and the Medical and Dental teams have made their first trips of the year to attend to the students’ healthcare needs. In mid-April, the PKH Centres are closed for the Khmer New Year. The students have gone home for the holidays, and we hope they will have a meaningful time with their families. We are grateful for your continuing support towards the work of PKH; thank you very much. Enclosed are an information brochure and an update giving the highlights of our work in 2017. PKH’s residential vocational training was streamlined for more effective ministry to 148 youths. Training for Hospitality Services was conducted at the Centre in Chbarmon, while that for Industrial Skills took place at the Centre in Aoral. 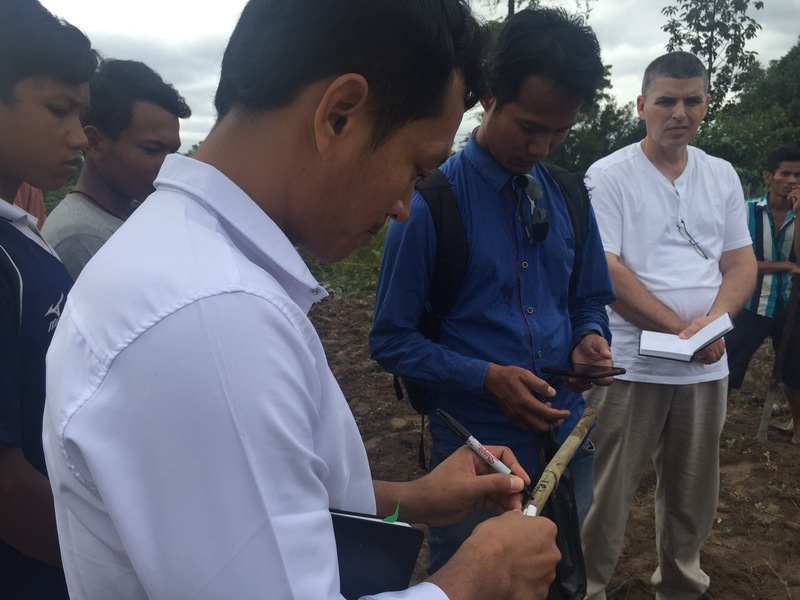 At the Centre in Trang, a pilot vegetables farming project was started. 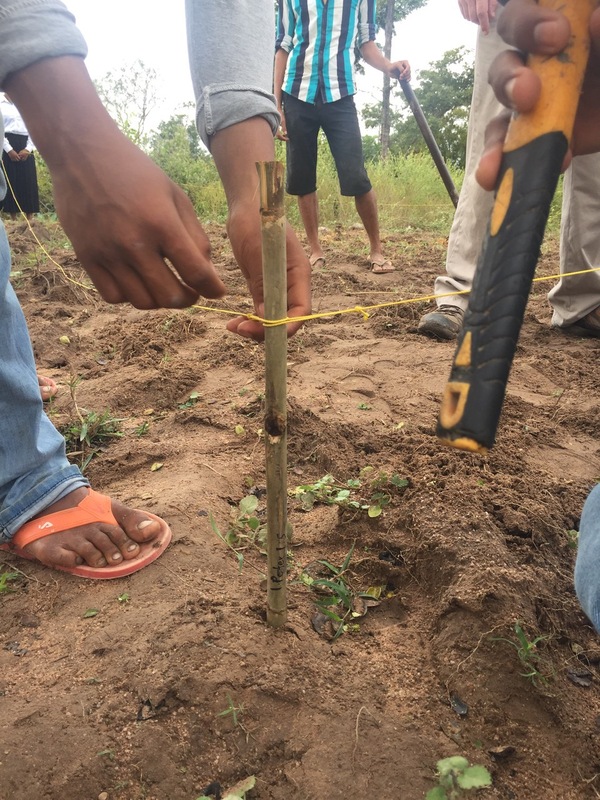 “Farming God’s Way”, an international non profit organisation which helps poor communities to acquire skills in farming, led us in this work and the initial results of the project (much improved crops and harvests) are very encouraging. In the near future, PKH hopes to share this knowledge with villagers in the Tropengchou Commune. In this update, we tell a short story of a former PKH graduate, Chhoun Udom, to show your support towards PKH brings improvements to the lives of the poor. We trust that you will be encouraged by his testimony. Thank you for helping the poor in Cambodia, and may God bless you, always. Wishing you a Blessed Christmas and a Happy New Year. Here’s an update from PKH! We are pleased to bring you some updates from our Centres in Cambodia, and thank you for your continuous support towards Project Khmer H.O.P.E.! Your support has enabled many lives to be transformed by providing, amongst many things, education and basic needs to the poor children and youth of Cambodia. A Medical Team from St Andrew’s Cathedral visited PKH in March to conduct health screening at the 3 PKH Centres. There were 6 persons in the team, including 2 doctors, a nurse and a pharmacist. The team attended to a total of 211 children, 114 youth and a few staff, at the Centres in Chbarmon, Aoral and Trang. Electricity has arrived at Aoral! After years of dependence on generators, the PKH Centre at Aoral can now function on regular electrical power supplied by a public plant newly set up in the district. Thank God for this advancement! We are grateful to all (engineers and technicians alike) who have helped to provide the Centre with electrical and solar power. St Andrew’s School Alumni Cycling Team visits Project Khmer H.O.P.E. On 30 Apr, a first-of-its-kind trip comprising a team of 15 persons from the St Andrew’s School Alumni Cycling Team visited PKH, cycling from PKH Aoral to PKH Trang. Despite the sweltering heat, the team persevered through the rough terrain to deliver 12 Bicycles, basic toiletries and household necessities to the Trang families. A workshop was conducted to share some skills on bicycle maintenance, as well as a fun game of touch rugby with the children at Trang, and visits to some of the village homes. We thank the team for braving the hottest month in Cambodia to bless the community at PKH Trang! 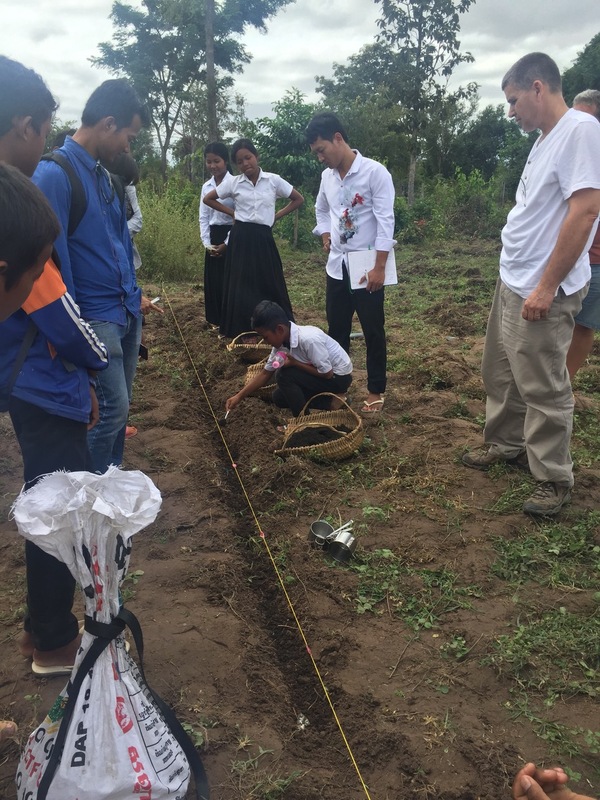 In Jan 2017, we were very blessed to host Brian Smith from AgriStewards and Vatanak, who conducted farming training using Farming God’s Way at PKH Trang. Teacher Deborah, Brother Souvuth, Brother Ngoun Y, Sokha Buntheurn and around 10 students/staff from PKH Trang attended the training, together with Ds Bessie, Ena and Adeline from Singapore. We were also joined by a few local and expatriate Christians who heard about the training via a local Christian community email. On the first day, Brian gave us a detailed lecture on the background and principles of Farming God’s Way which consists of 3 interconnected spheres; Biblical, Technology and Management. We learnt that the soil should not be ploughed and the importance of looking after the health of the soil which includes no burning, practising rotation and covering the soil with mulch which FGW calls God’s Blanket. 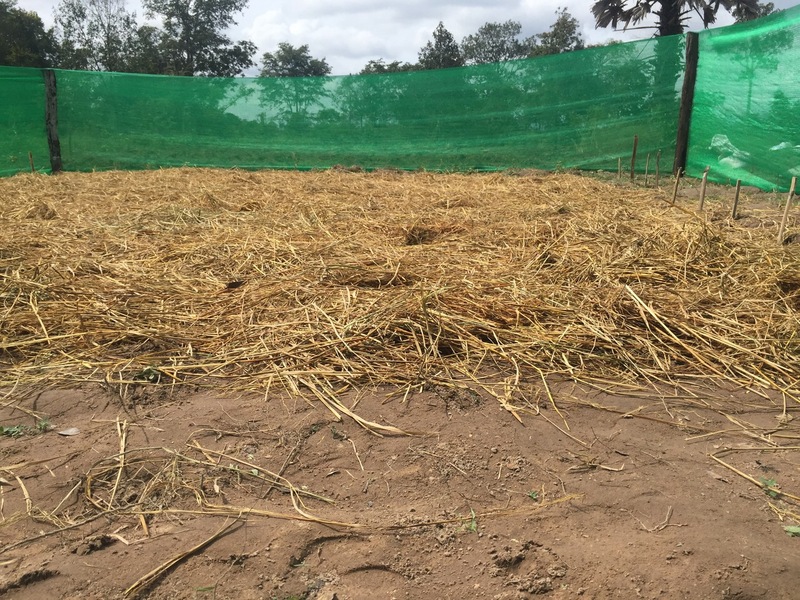 We then went on to the practical session on the second day when we planted a 6m x 6m test garden of cucumber, long beans and watermelon. Each step was precisely planned, measured, performed with minimal wastage and adhering to the requirement of high standards. At the four corners of the plot, Brian instructed us to mark each corner with a permanent peg with a bible verse written on it, staking God’s claim on the land. And above all of this, there was prayer and joyful singing of worship songs throughout the preparation of the land and during planting. The training continued in the afternoon on composting and management. Sokha Bunthoeurn writing 1 Peter 1:5 on the first leg. It was an eye-opening experience for all of us to learn how God already has mechanisms in place that allow fauna, flora and soil to co-exist with high levels of productivity and minimal environmental degradation. 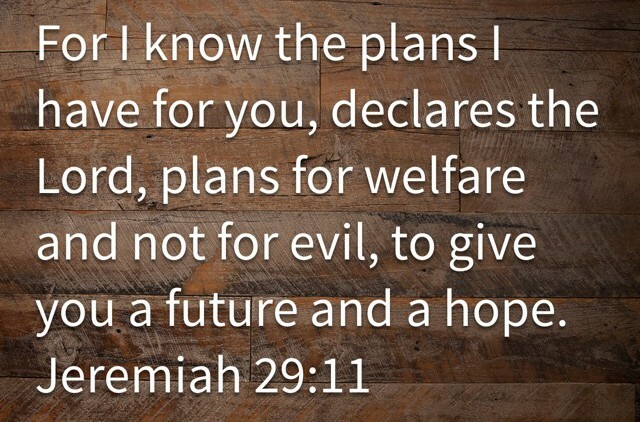 God has indeed provided sufficiency in all things. We are very grateful to Brian and Vatanak for conducting the training, and we hope to reach out to the surrounding villagers with Farming God’s Way as a tool to empower them to break out from poverty. AgriStewards is an American organisation founded with the vision of teaching sustainable farming techniques using Farming God’s Way to help individuals, families and their communities meet the basic needs of life through farming. Farming God’s Way (“FGW”) is a Godly solution to the food security and poverty crisis for the rural poor. FGW has a proven track record of success since 1984 where these practises were pioneered in Zimbabwe by Brian Oldreive. It has since been used by churches and NGOs throughout Africa and has now been extended to Mexico, Nepal, US and UK. 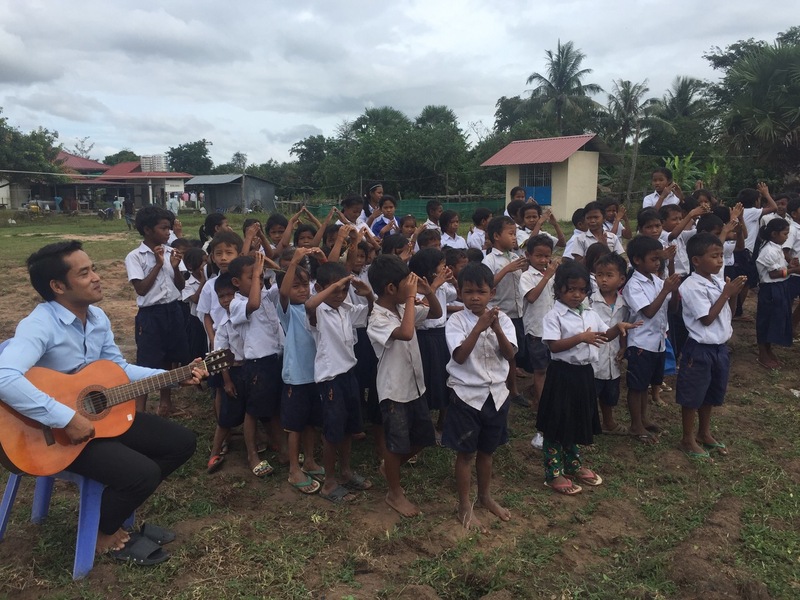 Trang children singing praises to our Lord as we began preparing the garden. 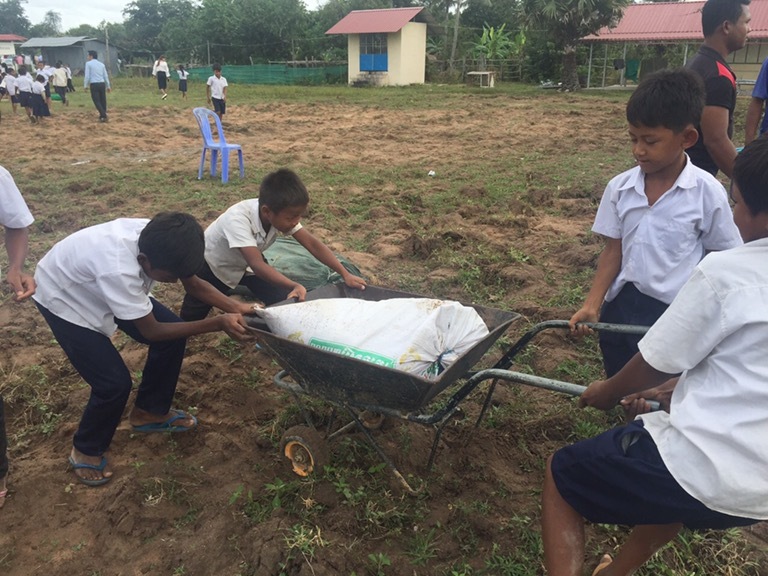 The students at Trang working together to wheel the heavy bags of wood ash to the test garden site. Hands on experience of preparing the soil for the new seeds, under the guidance of Brian Smith. And finally, God’s ‘Blanket’ covering the newly planted seeds in the test garden. For more information about FGW, please visit their website via this link.